Choose from an array of natural colors that will blend with your horses coat, creating a camouflage effect, which minimizes wear and tear from pulling and biting from other horses. 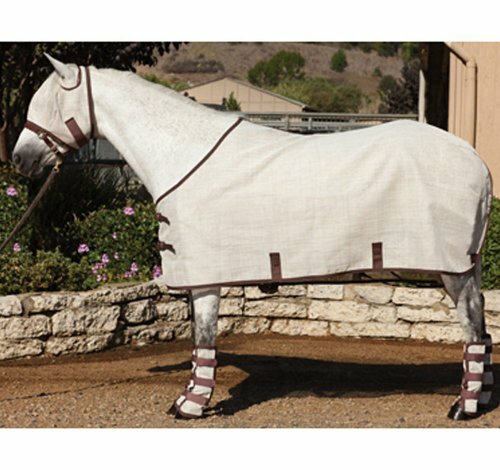 The Natural Collection Protective Fly Sheet provides protection from summers' dangers: harmful UV rays, biting insects, fire and airborne debris. Non abrasive, non sticking and 78% air permeable. Features a double buckle front closure, lined chest, padding at the withers and detachable leg straps. COMFORTABLY FITS EVERY HORSE - Designed in multiple sizes please see our sizing chart to find the perfect size. With many to choose from you'll find the perfect fit in no time.